Wil Wurtz has two decades of experience in customer management, and has seen the rise of CRM (as founder of the Dutch CRM Association) and more recently CEM. Through it all, he is one of the world’s best thinkers about balancing value creation for customers (which drives customer satisfaction and loyalty) and value creation from customers (which drives profitable revenue growth). In 2012 I presented Wil with the CustomerThink Excellence Award, in recognition of 10 years of leadership of the association, now known as Platform voor Klantgericht Ondernemen (Platform for Customer-oriented Entrepreneurship). I was delighted to see that Will had co-authored (with Marcel Wiedenbrugge) a new book The Customer Profit Maxim: Putting the bottom-line on top. It distills their real-world experience making this balance work into a readable and highly useful guide for business leaders. Here are Wil’s answers to five questions I asked about the new book. Enjoy! service people are rewarded for average handling time which results in ignoring buying signals of high potential customers. financial people may ruin a high potential customer relationship by blocking an account because a low value overdue invoice has not been paid yet. Nobody seems to care as long as the company bottom line shows black figures. More interestingly, nobody seems to care even when red figures appear! In the latter case generic cost cutting measures are taken, without looking at the individual (potential) profitability of customers and prospects. In summary, commercial people tend to think of the bright side of customers as a source of revenue, whereas financial people often focus on the dark side of customers as a source of costs and liabilities. Merging these two points of view into a balanced view on customer value, would make it possible to base decisions on the “real value” (i.e. profitability) of customers. In other words, putting the bottom-line on top, requires cooperation between commerce and finance. 2. In your experience, why do companies struggle to balance the company and customer perspectives on value creation? Basically it is an internal struggle, because different departments have different perspectives and different incentives on customer value. It seldom occurs (if at all) that every employee in a company has a clear cut idea on what they contribute to both value FOR and value OF the customer, let alone how an individual customer is rated on these two dimensions. The dominant definition of customer value on the commercial side (especially marketing) is value FOR the customer. The most extreme form is often shown in customer experience programs, aiming to provide EVERY customer a WOW experience. Likewise we often see account managers doing the utmost to make their customers happy, regardless of the costs. The implication for the bottom line of the company is out of sight, but it is essential for a sustainable business, of course. On the other hand when value FROM the customer is the only focus, it can lead to cost cutting (e.g. resulting in less customer service) having a negative impact on customer satisfaction and loyalty. This also endangers the sustainability of a company. A classic example of the latter is what happened with Dell around 2007 when Michael Dell retreated and a seasoned (financially driven) CEO lead the company to a near disaster, by cutting down the quality of services. Cooperation between finance and commerce to arrive an accurate measure of customer value is essential in order to make the right decisions that lead to bottom-line result. Assessment of financial risk is also a major potential source of conflict. Financial risk consist of credit risk (the ability or capacity of a customer to pay) and late payment risk (the willingness of customer to pay on time). Financial risk can have a negative impact on cost, profitability and customer value (both value of the customer as value for the customer). What you see in a non-integrated organization is that sales is making deals, while the finance or credit management department is spoiling the ‘party’ because the customer appears to be a high credit risk and the terms that have been agreed upon need to be withdrawn or adjusted. 3. In your chapter on Customer Value Segmentation, you recommend segmenting by value of the customer and value for the customer. Please describe the four quadrants and how they should be used. The most basic customer segmentation is based upon information on two variables measured on individual customer level: value OF the customer (financial value) and value FOR the customer (e.g. measured as customer satisfaction). Since we focus on B2B it is always feasible to have that information on an individual level. We apply two commercial laws to create the segments: 1) A small number (10%) of customers are responsible for most (90%) of the revenue; and 2) 50% of customers experience a below median added value and 50% an above median added value. Profiteers: high value FOR the customer and low value OF the customer (representing 45% of the customer base and 5% of the revenue). Think e.g. of customers that buy a $5 cable from a PC network supplies company and spend two hours on the phone (toll free number) to get advice on network configuration. Potential defectors: low value FOR the customer and high value OF the customer (representing 5% of the customer base and 45% of the revenue). Think e.g. of customers that are not on the radar of key account management (longstanding relationship, EDI ordering, no complaints). Lack of attention can lead to sudden loss. At face value one would think this in an improbable scenario, but in reality not all REAL high value customers are treated in the right way, because customer value is only measured by yearly revenue. Establishing the real value of the customer is essential. One would not like to estrange a customer that appears to have a low value, but in reality has high growth potential, low financial risk, high referral value and high profitability. Cooperation between finance and commerce to arrive an accurate measure of customer value is essential in order to make the right decisions that lead to bottom-line result. 4. What’s your favorite example of a company that gets the balance right? In other words, a company that does a great job creating value for customers, and profits from this? The first consumer brand that comes to mind is Nespresso of Nestle. They redefined coffee sales by creating a high quality product in combination with excellent service (value FOR the customer), combining it with a hefty price that consumers are willing to pay, because they experience value for money. Another good example is the Dutch VDL Group, that is involved in the development, production and sales of semi-finished products, buses/coaches and the assembly of cars. In total, this company consists of 82 operation companies in 18 countries and a workforce of 9,100 employees. Their business culture is one that is driven by short communication lines, cross functional collaboration and customer value / result driven. Despite enormous global competition from low labour cost economies in the Far East, they remain a very competitive, innovative and successful business for decades. In general, I would argue that companies that do not go for maximum market share and a wide product range are in the best position to strike a profitable customer value balance. In other words: less customers and less products is an easier road to profitability than many customers and many products. This has been very true (and still is to a certain extent) for Apple. 5. How would you like your new book to be used? 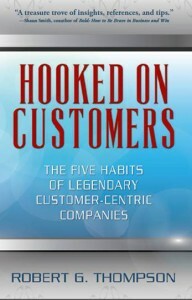 Ideally commercial people that read the book recommend it to financial people and vice versa, so that subsequently a discussion in started on the basic principles, leading to the conclusion they need to cooperate in order to align and optimize their business processes and make their customer portfolio more profitable. Within that context, the book can be used to translate the described principles to the specific situation of their company. As soon as this cooperation results in establishing the “real value” of individual customers everything falls into place. From that moment on a sound value balance for each individual customer /or customer segment can be realized. We are more than happy to assist companies during that process. We are consultants after all. 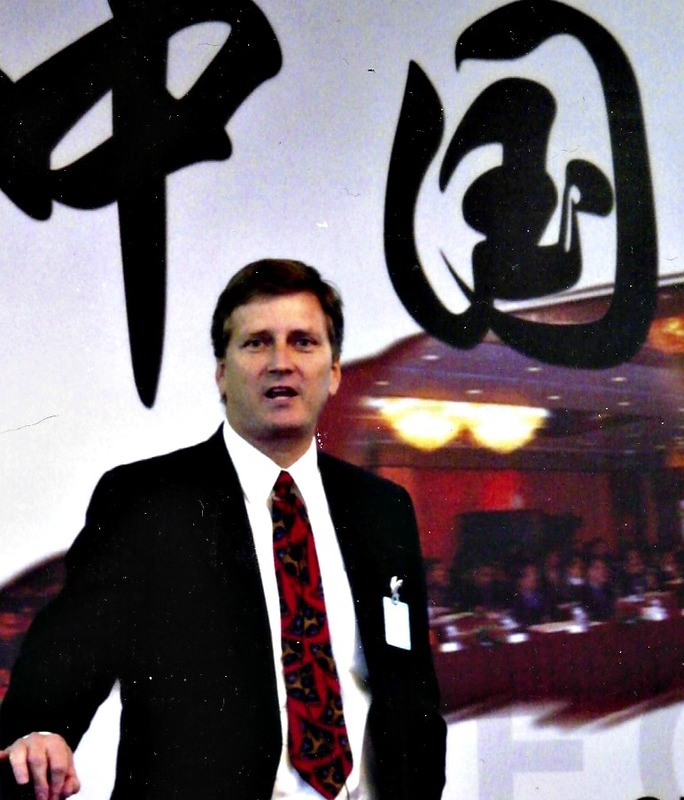 Wil Wurtz is a pioneer in CRM and customer value. He combines knowledge and expertise in marketing, psychology, statistical analysis, ICT and management. In the early nineties he was co-founder of MSP Associates, a CRM consulting firm “avant-la-lettre”, known for the Customer Marketing method. Previously he was a member of the Board of Directors of the international marketing research company InterView Europe Ltd. He was founder of CRM Association NL, the Dutch network for CRM professionals. As the author of books and articles and as speaker at conferences, he has contributed to the development of CRM in Europe. He is a lecturer at Beeckestijn Business School for the Post Master Course CRM. Currently he is also managing consultant with Metrics & More, an action oriented CRM consultancy. The Customer Profit Maxim: Putting the Bottom-line on Top, co-authored with Marcel Wiedenbrugge, was published in 2013.